Well, it was nice while it lasted. 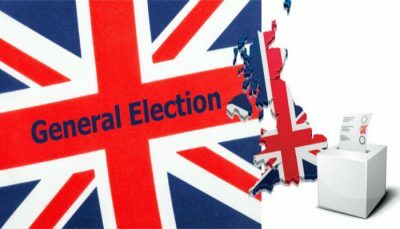 Like many others, I rejoiced through the night at the astounding UK election results, which seemed to presage a much needed, much longed-for paradigm shift in the poisonous bipartisan neoliberal consensus that has imprisoned the politics of the UK (and US) for so many years. But this morning finds us in what might be an even worse situation, as a wounded — and woefully incompetent — Theresa May limps to the palace to form a government that will be utterly at the mercy of the right-wing sectarian cranks of Northern Ireland’s Democratic Unionist Party. And since the government-forming deal won’t be a formal coalition, the DUP will be able to extract whatever concessions they please from May, who will obviously do anything to cling to power. They have already made clear to May that their price for keeping her in office will be a “hard Brexit” in Northern Ireland: no special concessions for the unique situation there — the only place where an EU nation will have a land border with Brexit Britain. This will almost certainly mean that armed border controls will have to be set up. And this in turn will almost certainly mean a renewal of strife and division in Northern Ireland after a generation of relative peace and easy flow back and forth between the UK-controlled counties and Ireland proper. The DUP fears that any special arrangement will pull Northern Ireland even closer to Ireland — which would, of course, threaten their own little power base. We can still hope that the Parliamentary Labour Party will now embrace the paradigm shift that millions of people made yesterday in voting for a bold Labour manifesto aimed at the greater common good, not the harsh, inhumane dogmas of the failed neoliberal consensus. If they do that, if they build on the momentum and enthusiasm generated by the remarkable campaign and its renewed focus on, yes, the many not the few, then they will be able to thwart or at least hinder the worst depredations of what will be an even more right-wing government. May will now be the weakest UK leader in decades, at risk of falling at any moment if the DUP withdraws its support. She and her hideous policies will be susceptible to pressure at every single step — if Labour hangs together, if the PLP will stop viewing the leadership, the party membership — and millions of Labour voters — as enemies to be undermined and overthrown. So despite the euphoria of the long night, we should remember that we are still in murky waters, with a rickety, right-wing Tory-DUP alliance in government. If Labour can maintain its campaign for the common good with unity and energy, then the election can still be what we all thought it was during the night: a new beginning. If not, if Labour falls into internal strife, if its inveterate, neoliberal die-hards continue to put their failed ideology ahead of the interests of the country and the world, then we will have seen a false dawn, with much darkness yet to come.